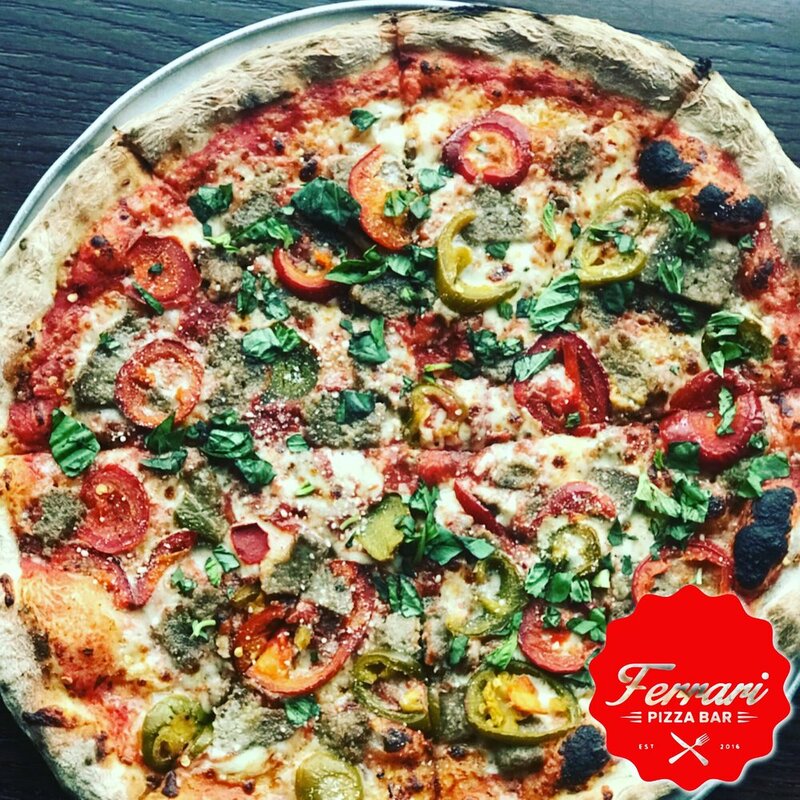 Ferrari Pizza Bar- Webster-NOW OPEN! We pride ourselves on providing a family friendly, casual, experience, without sacrificing food quality. Our service, and quality of product will wow any culinary aficionado. From our custom Marra Forni pizza oven, to our commitment to scratch making everything, our pride in food shows. With nightly food specials, as well as our weekly fish fry, steak special, clams casino, & Louie's Sunday sauce, we're sure to be your new favorite spot! No matter what side of town you live on, we have a location close by! We're now open in Chili & East Rochester! Stop by and allow us to introduce ourselves! Don't forget we have NYS Lotto/Quick Draw, too! Party Rooms Available, Call For Reservations! NOW OPEN! CHILI PAUL PLAZA, PIANO WORKS MALL, & BAYTOWNE PLAZA!